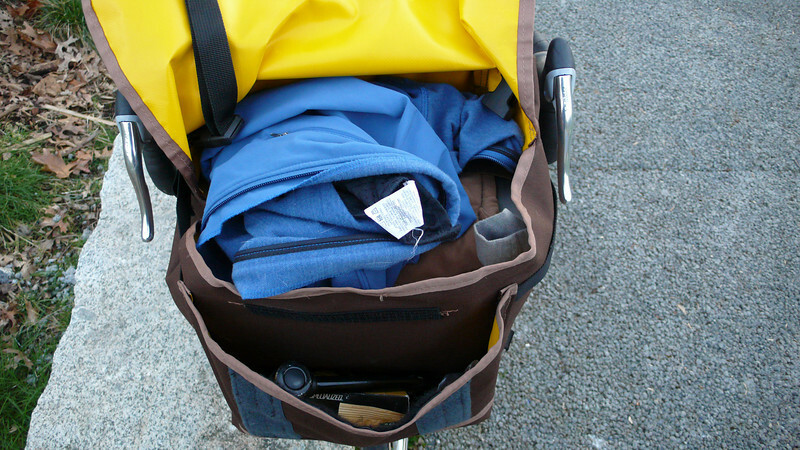 Freight Bags and Pass and Stow makes this unique messenger bag/handlebar bag for porteur racks. I saw it at NAHBS 2008 and was intrigued with the design and the attachment system to the rack, so I bought one. I consider the rack to be a prototype because I'm unhappy with some of the workmanship (a reasonable tradeoff for building it quickly).